It’s been a while since I’ve draw or sketch any creature so I decided to sketch something basic. Practice drawing animals is always a good way to explore different forms of creatures, etc. I’ve learn from many artists who are really good at creatures design, they draw and sketch a lot of animals of all kind. And to design a good convincing monster or creature, you will need to study animals forms or anatomies. For it’s postures, movement, expression…anything from animal kingdom that nature gives us. 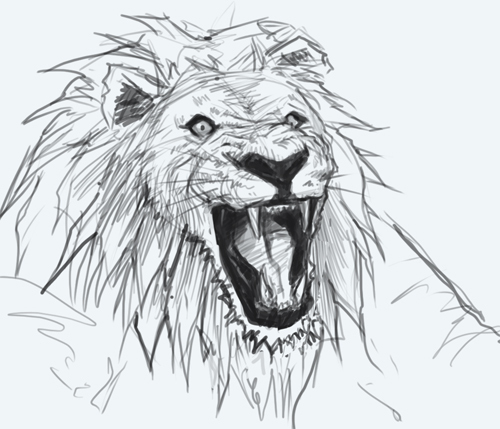 In this tutorial, I will show you how to draw regular lion’s head and when it is roaring. So there will be two videos and step by step images for both of the tutorials. So as basic as these sketch may be, my point is that you and me need to draw and study more animals if you want to draw and paint a great looking creatures. Same thing as environmental design, you will need a lot of landscape painting or cinematic screenshots study from films. 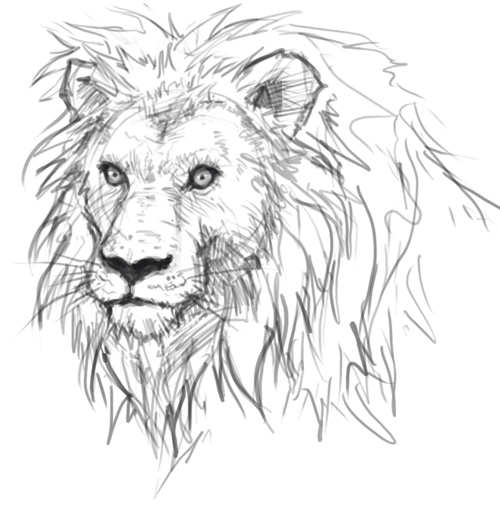 Here are a couple lion’s head sketches. It took me about 15-20 mins each, just a quick line drawn study, nothing more. I just want to get familiar with the form and I wish I would have more time to do study like this everyday and just paint, paint, paint. Anyway, there are some creatures video tutorials on the site I did a while back mainly dragons, you can also check those out from thumbnails on top of this post. 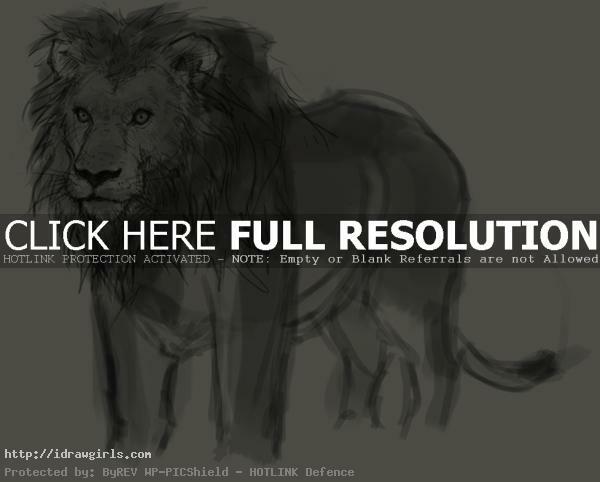 Here is a step by step how to draw lion. Or here is a whole body I sketch it out really quick. Thank you sir. Glad it is helpful. Fantastic, as a 66 years old newbie to sketching your lessons are invaluable , thank you so much for sharing. I really like your tutorials!!! Thanks so much for sharing it.